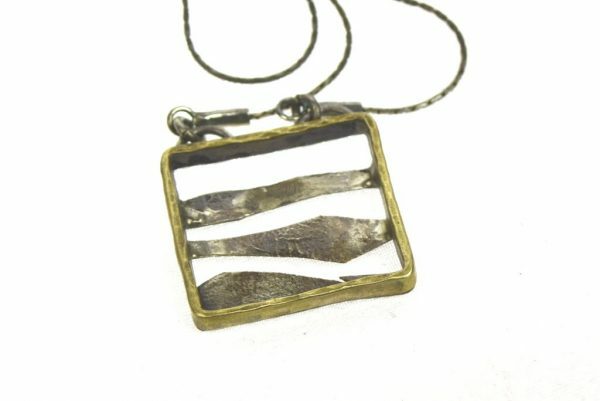 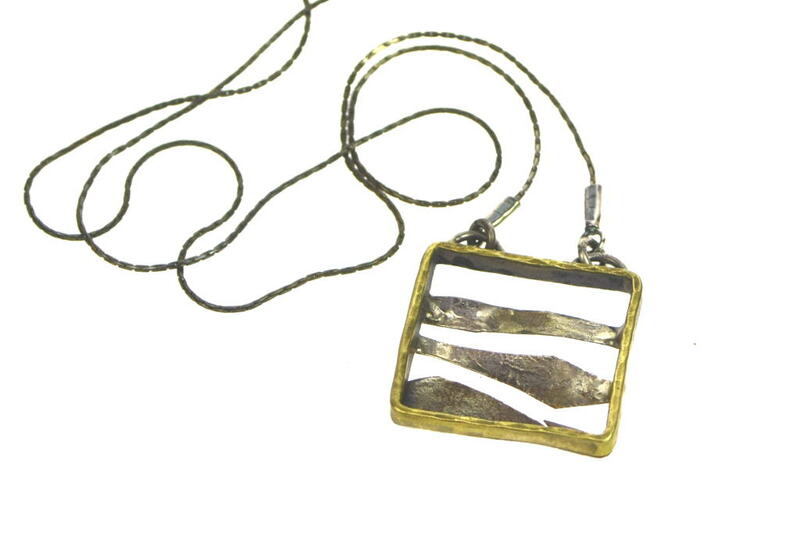 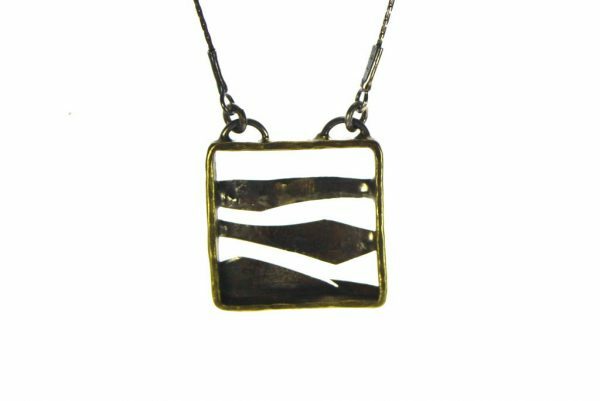 Small Silver Necklace – Silver Mountains is a small pendant made from hammered sterling silver sheet set in a brass frame. A delicate and pretty necklace that makes a special present for a young girl. Dimensions of the pendant : 0.8 H “(2 H cm) x 0.8 W” (2 W cm) – 16″ long delicate sterling silver chain, anchored with sterling silver findings.